In November 2011, Hilton Bogota brought a mix of contemporary design, thoughtful business and leisure attractions, and highly personalized service to the Colombian capital. 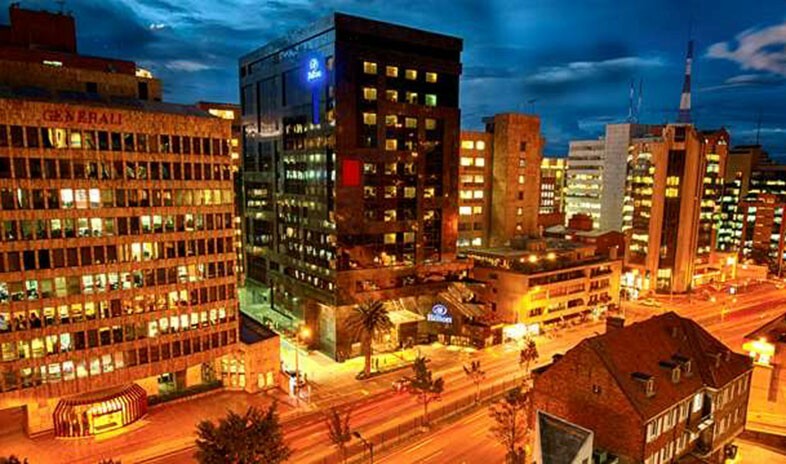 The 14-story building places guests in the financial district, but also within an easy walk of museums, theaters, and Zona G, Bogotá's renowned dining and entertainment quarter. Groups settle in to a choice of 245 accommodations and more than 10,000 square feet of modern, multifunctional meeting spaces. The venues range from a ballroom for up to 500 delegates on the first floor to an executive conference center on the second and four small rooms off the Executive Lounge on the topmost floor. Breaks often center on the hotel's outdoor pool, fitness center, spa services, locally inspired fine-dining restaurant, four-level bar and lounge (with DJ), and cafe featuring the finest Colombian coffee.